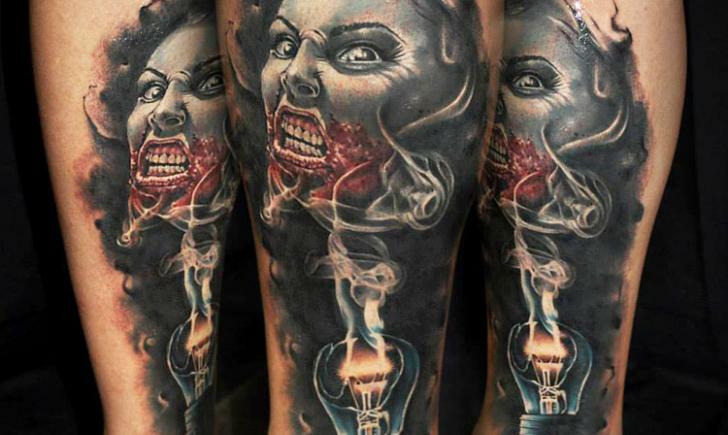 Here’s a way to have a whole sickeningly sweet conversation back and forth just with romantic tattoos! 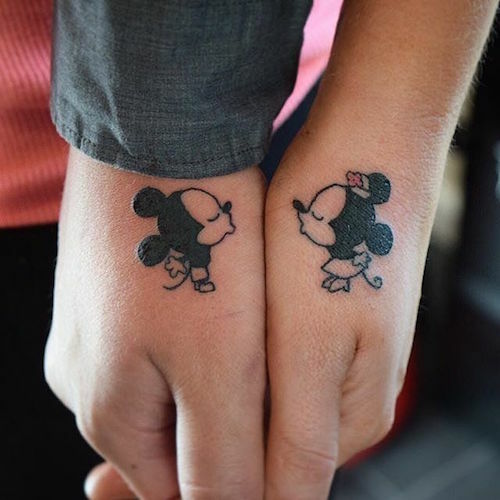 Is there anything more romantic than the love that Mickey and Minnie have for each other? Perhaps, but definitely not as cute! 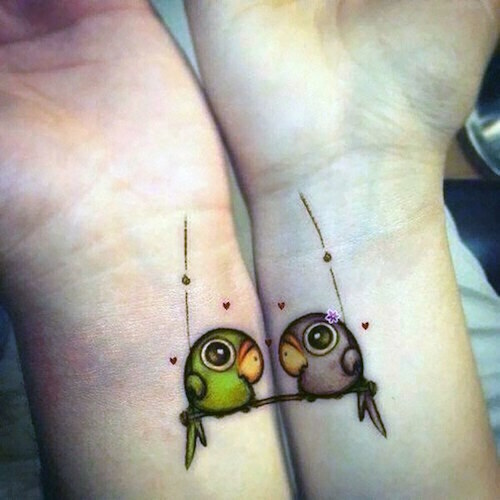 Look at these tropical little parrots just staring into each others’ eyes! 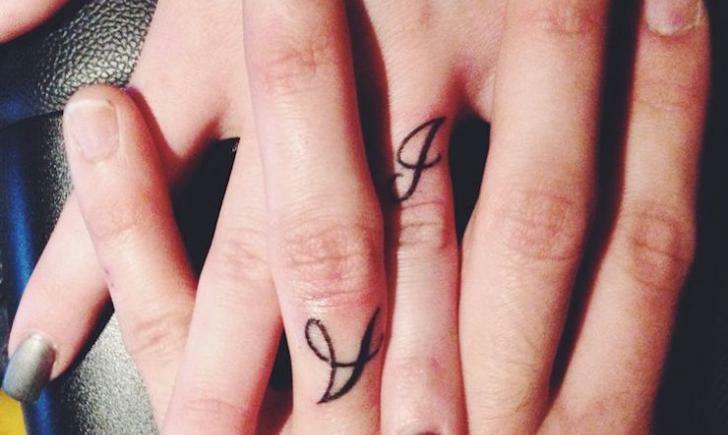 Simply stated, a monogram of one another’s first letter of each’s first name done in a calligraphy style. 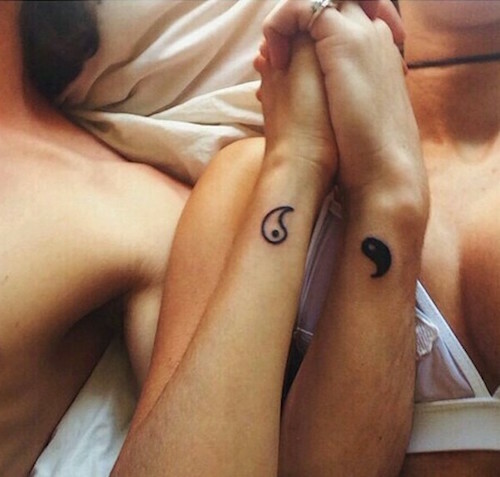 You are the ying to my yang. 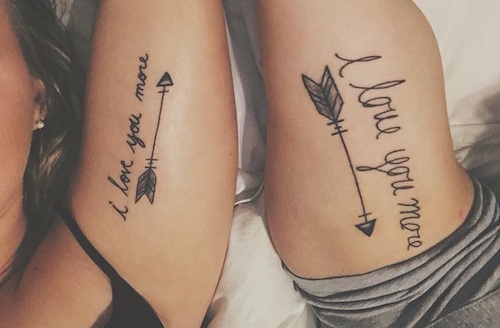 A tattoo for true soulmates. 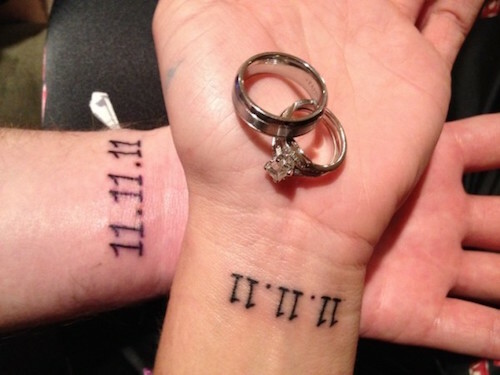 Wedding dates are always great tattoos to get to celebrate a new marriage, but seriously, look at that wedding date! 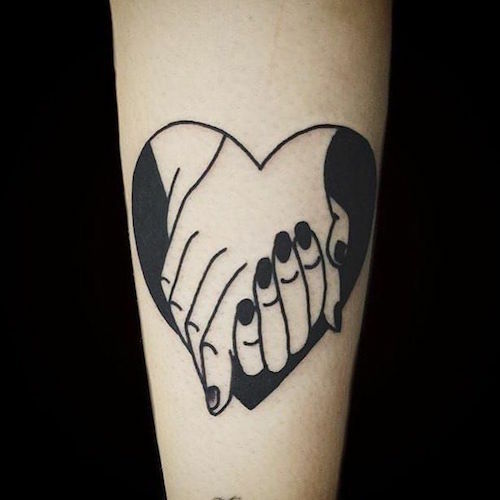 Old school style tattoo depicting one of the most romantic gestures of all, holding hands. 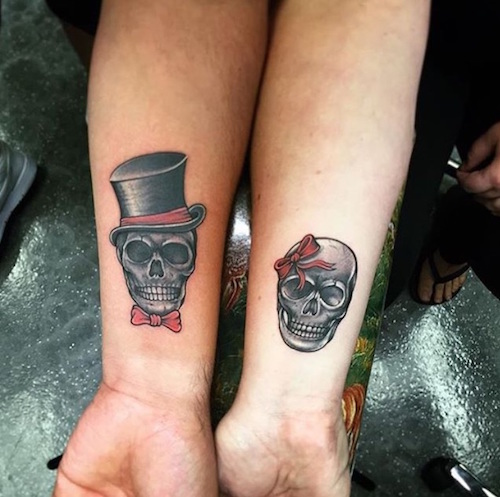 Mr. and Mrs. represented by skulls, hinting at the fact that true love never dies. 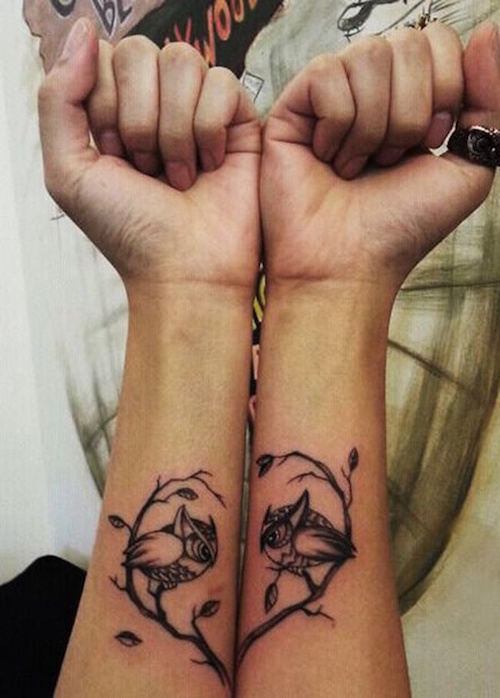 These owls may fight a lot, but there is no denying that they love each other. 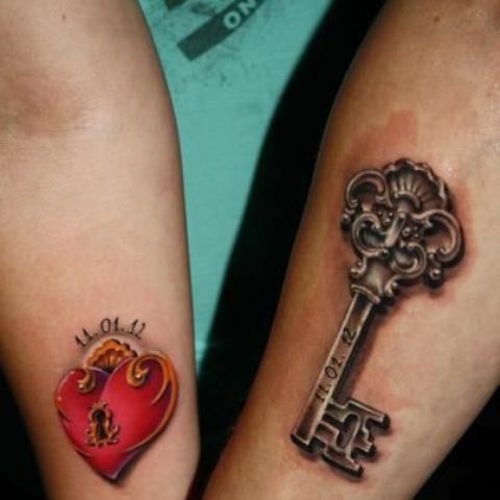 We will let you interpret this lock and key matching couple tattoo set. Very romantic indeed!